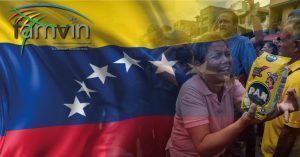 To all the members of the Vincentian Family (VF) in the world, and especially to our brothers and sisters in Venezuela, we express our concern and our solidarity in the face of the dramatic situation Venezuelans are experiencing in their country. We are aware of the painful situation of injustice and suffering of the Venezuelan people due to the lack of what is necessary for a dignified and productive life, and their defenselessness before the growing injustice. We pray that the Venezuelan people maintain hope in the search for a peaceful and transparent socio-political and economic change. We also pray that this will lead the country to regain its full democracy, to achieve the recovery of the Rule of Law, the reconstruction of the social fabric, free economic production, and a national reconciliation in this always peaceful nation. In this time of conflict, we call for the protection of the individual and collective rights as upheld in the national constitution and that international protocols be respected. We are greatly moved by the unbearable reality of the poor: growing famine, the inability to access medicines, depressed wages due to the ever-rising inflation, generalized insecurity and violence, the lack of access to jobs and adequate housing, etc. Faced with this humanitarian crisis the Vincentian Family would like to make ourselves present not only through solidarity in prayer and spiritual accompaniment, but also with help that relieves some of the pain of the most abandoned. As people of faith and brothers/sisters in our common charism, we want to walk closely with the Venezuelan people on this long and painful way of the cross towards the fullness of Life (John 10:10). We would like to help them feel close to the God of Life through our compassionate embrace, our tireless prayer, and an international Vincentian aid campaign in favor of the poorest in the country as well as through the programs our Vincentian Family has in Venezuela. We acknowledge all the members of the Vincentian Family who have developed their life and mission in the country. We know that their reality has forced them to extreme creativity in the service of the charism. We want to humbly join the many networks of solidarity and compassion that are focused on the increasing pain of the Venezuelan people. At this crucial moment in the history of this brother country, we invite all the members of the Vincentian Family to join us in this gesture of communion and solidarity, each from their own abilities and areas of expertise. We also invite our VF networks to welcome, protect and support all the Venezuelans migrating around the world. Close to 5 million Venezuelans today are refugees experiencing very dramatic conditions in Colombia, Peru, Ecuador, Brasil, and other countries especially in the Americas and Europe. We join in the desire and appeal that Pope Francis has made for the transformation of the country to happen without bloodshed and that this rebirth will lead to the total reconciliation of the country and the remediation of the broken tissues of society, from the expansion of opportunities for integral human development and from the reactivation of the values ​​of peace and justice. We trust in the God of history. He is the God of salvation and the liberating Jesus who tells us: “Do not be afraid, I will be with you every day until the end of the world” (Mt 28, 20). May Mary of Coromoto, national patron, protect Venezuela always, as we express our deepest solidarity! St. Vincent de Paul, and all our Vincentian Saints and Blesseds, pray for us! Venezuela is going through a humanitarian crisis of extraordinary dimensions. The Venezuelan people are suffering, and we can not remain impassive in the face of so much pain. The members of the Vincentian Family, more than four million people who serve the poor after the example of St. Vincent de Paul, are asking you to join us and collaborate in every way possible to ensure that no Venezuelan goes hungry or remains in need. Please, help us help them. Pray for Venezuela: in private and in community. Contribute with a donation: personal or community (from your group, branch, school, parish …). All the monies received in these accounts, managed by the Vincentian Family of Colombia, will be sent to our sisters and brothers in Venezuela.